Today, both Mediaite and Law & Crime announced that ABC News chief legal analyst, Law & Crime, The Mary Sue, and Mediaite founder Dan Abrams is launching a SiriusXM radio show focused on politics and law. 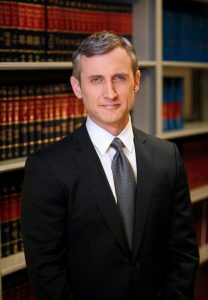 The Dan Abrams Show: Where Politics Meets The Law – will air weekdays on the P.O.T.U.S. channel 124 at 2 pm right after shows from Chris Cuomo and Michael Smerconish. Dan hosted a weeklong run of The Dan Abrams Show on SiriusXM earlier this year, featuring Cuomo, Jeffrey Toobin, Ann Coulter and others as guests. “On his new show, Dan will analyze the biggest news stories of the day from a legal perspective,” SiriusXM said in a statement. “With so much of today’s breaking political news having a legal component, Dan will delve into the issues with a team of specialists, including former federal prosecutors and other high-profile experts. Dan will discuss the legal aspects of the day’s biggest, breaking political news stories. He will be joined by experts in the legal profession, including our very own Law & Crime hosts. Listeners will also be able to call in to the show. “The program will also feature one-on-one interviews with top newsmakers, panel discussions, and listener calls,” the statement added. The show kicks off Monday, October 29.